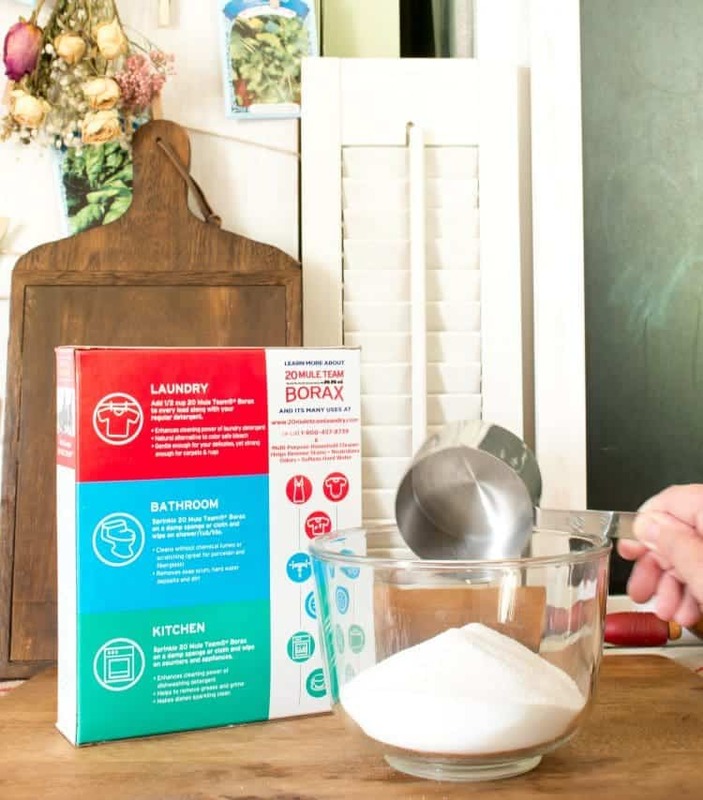 Have you ever tried to make your own all-natural dishwasher detergent? 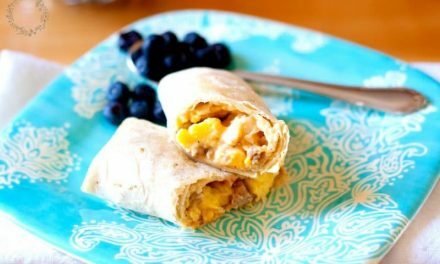 If you haven’t, give this easy recipe a try and you’ll not only save money, but your dishes will be squeaky clean. 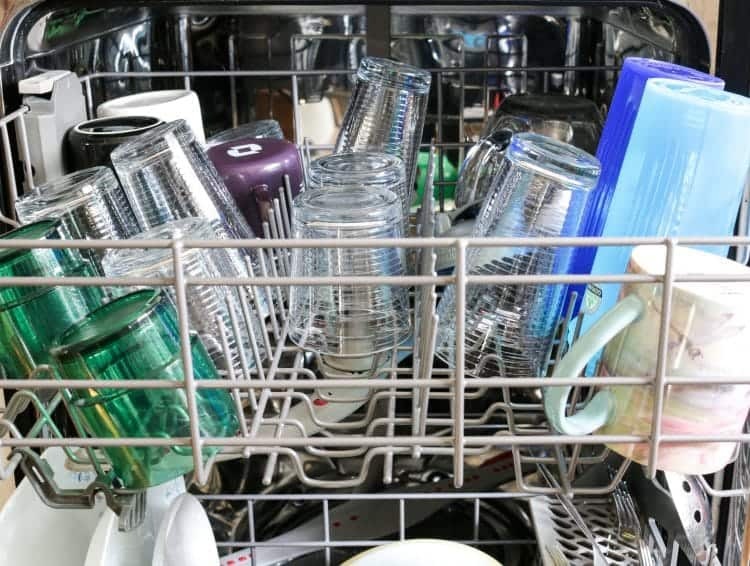 For years, I think about 8 or more, I didn’t have a dishwasher. Then, almost two years ago I took the plunge and got one and I have never looked back. Even though I don’t mind washing dishes by hand having a dishwasher is a time saver. 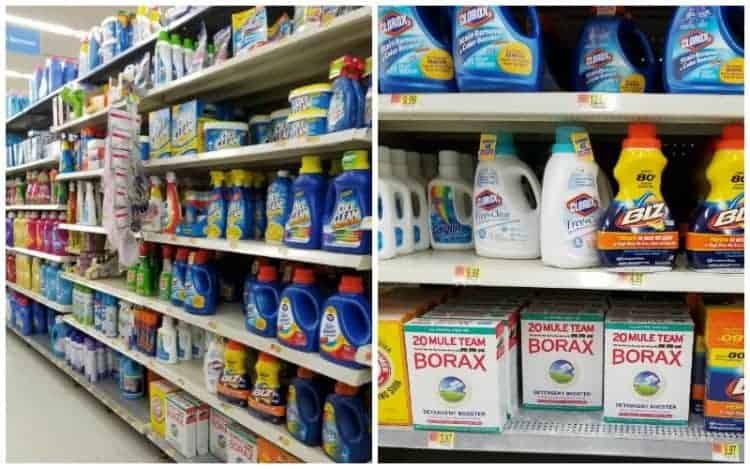 I have found, though, that you need a good detergent to get your dishes clean. Your dishwasher can only do so much, it needs a little help. 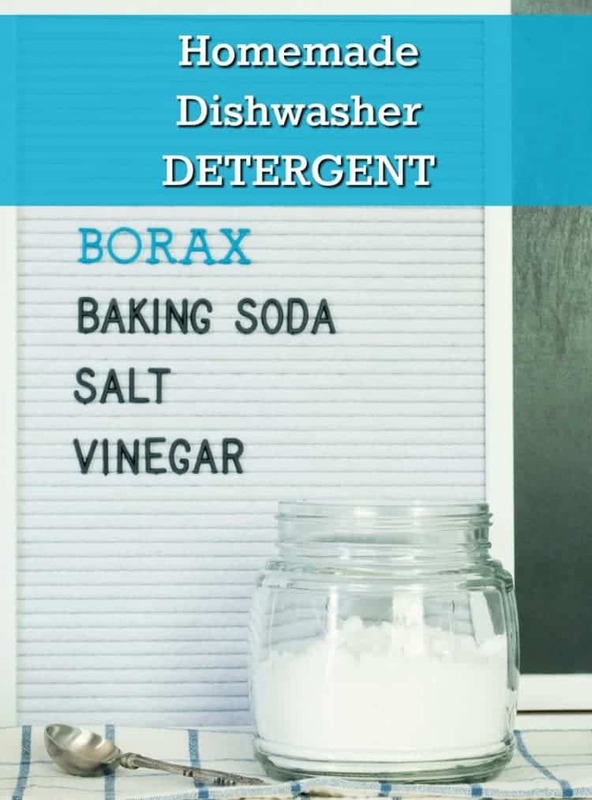 I had been hesitant to make my own dishwasher detergent but after doing a little research I found a recipe that not only works but works great and you only need some very basic ingredients. 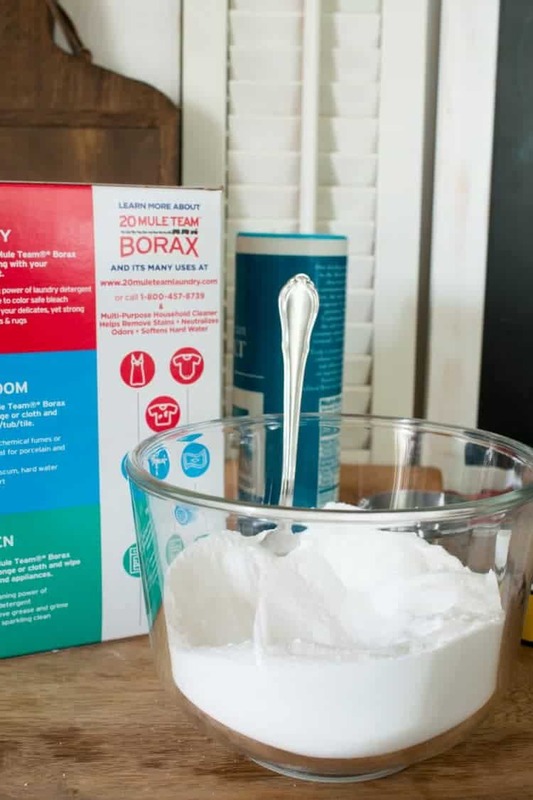 Measure 1 cup of Borax into a bowl. 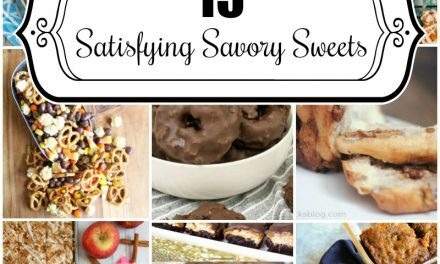 Add 1 cup of baking soda and 1/4 cup of salt to your bowl. 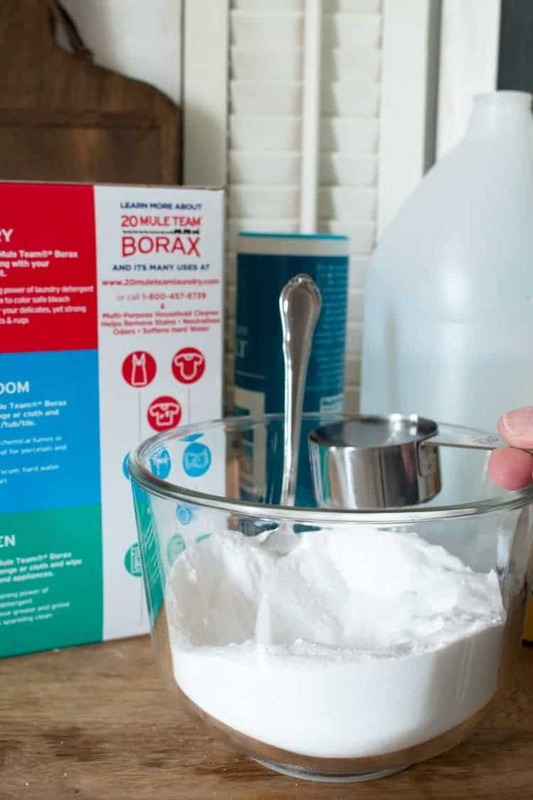 Mix the Borax, salt, and baking soda together. 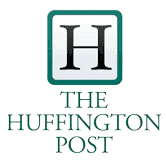 You can stop here or you can add essential oils, approximately 10 drops, of any scent you prefer. 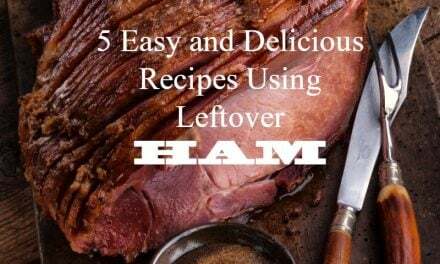 I used lemon because I like the aroma of lemons in the kitchen. 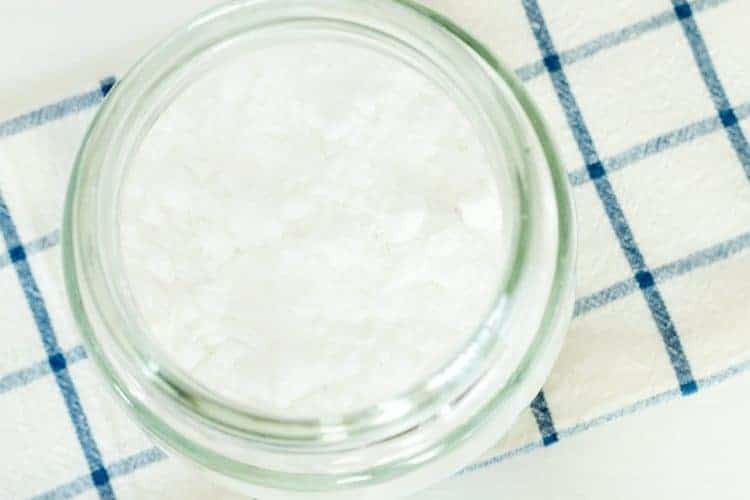 If you do add essential oil, stir one more time to mix everything well and then place in a storage container with a lid and measure out enough detergent to fill your dishwasher dispenser. 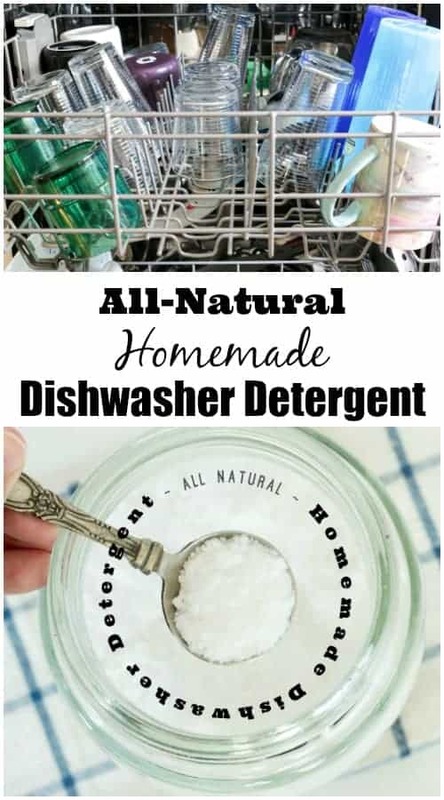 I use a measuring spoon to add the detergent and that’s it! Wash as usual. Here are my dishes after being washed with the Homemade Dishwasher Detergent recipe above. Aren’t they sparkly? And, no residue on the interior dishwasher body itself. I love that! 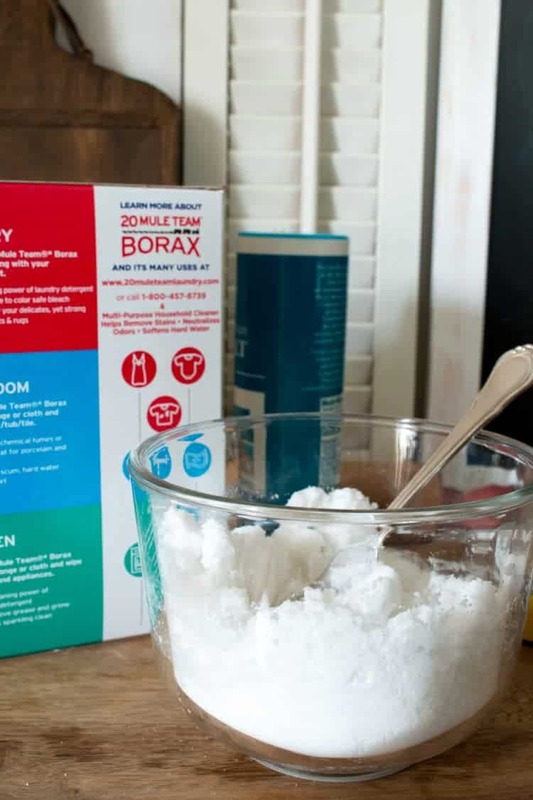 Now, here is why I started with Borax. 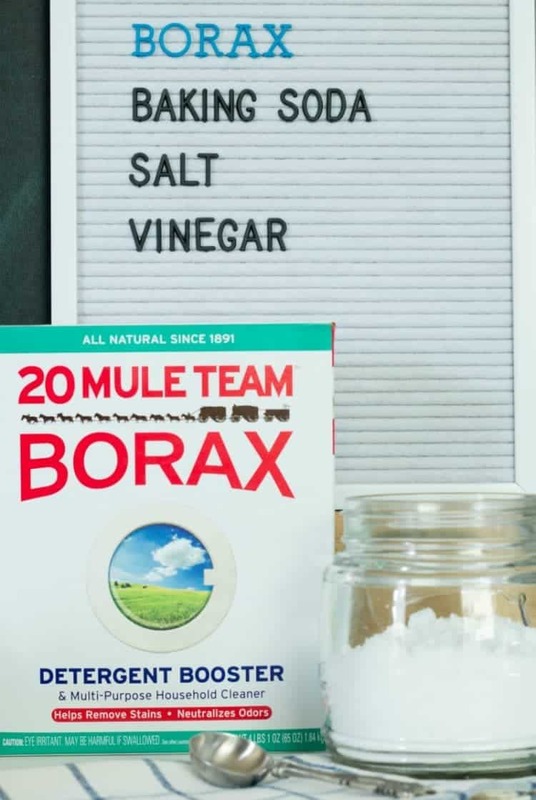 I’ve used Borax for years in the laundry room to help clean all of my family’s laundry; it’s a great laundry detergent booster and can be used for everything from delicates to jeans. 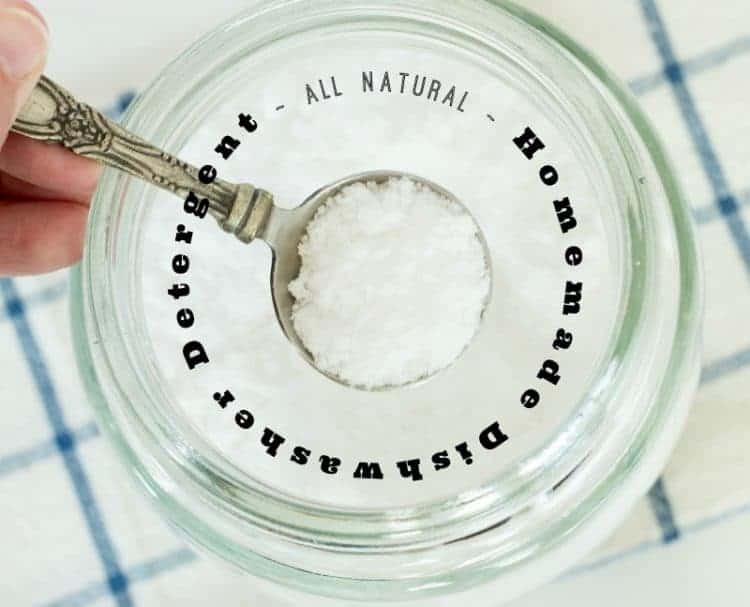 It’s all natural, another huge plus, AND I use it in my kitchen to help clean my sink, microwave, countertops, stainless steel, silverware, and more and now you know how to use it in your dishwasher. 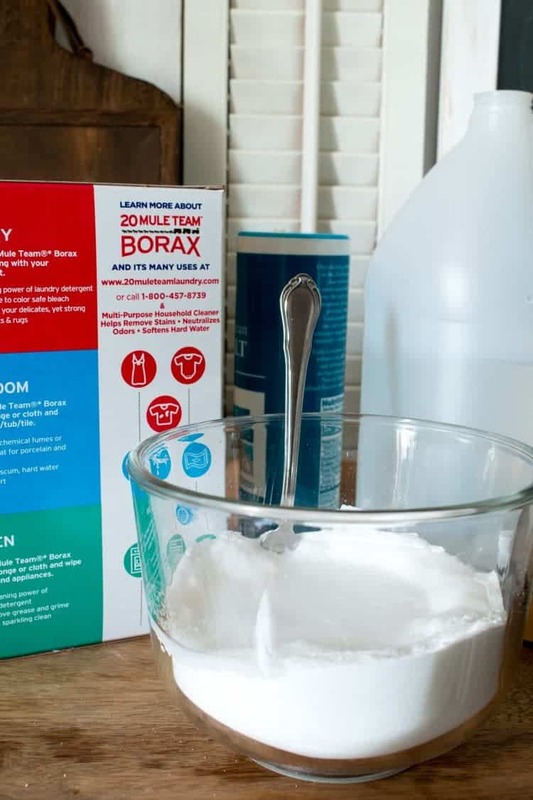 It’s versatile which makes it a smart choice in my opinion and you can check out more uses on the Borax Usages Page. 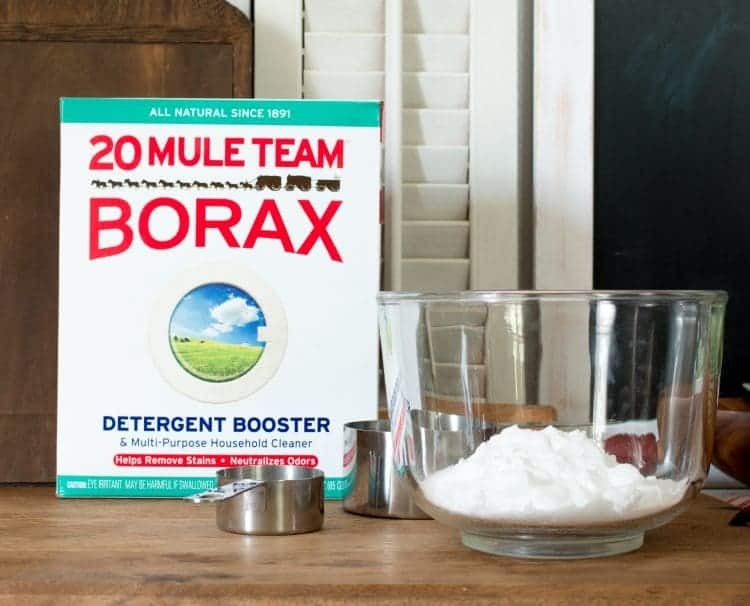 I found Borax in the laundry aisle/additive section at my local Walmart but you also find it on Amazon. 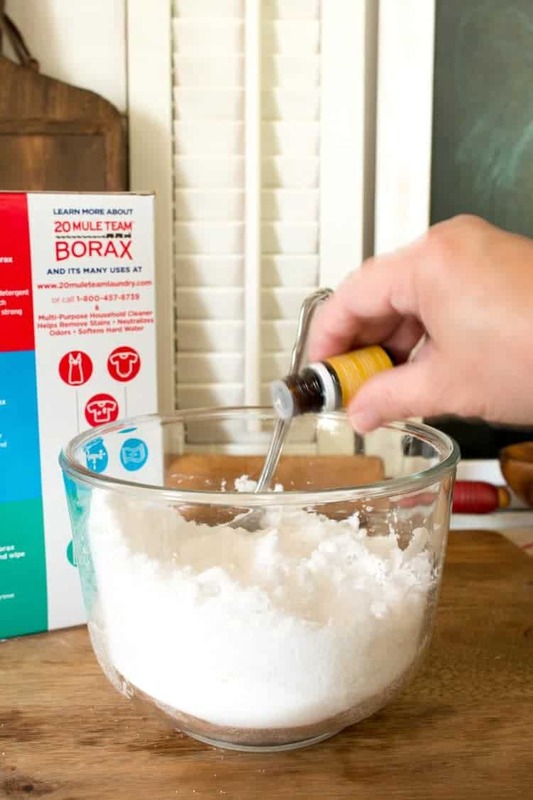 Do you have a favorite use for Borax? 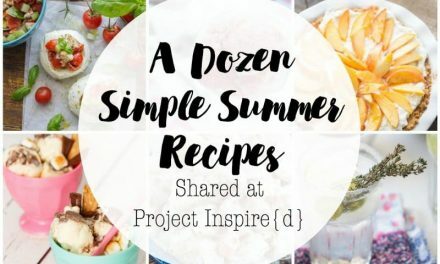 I’d love to hear about it!